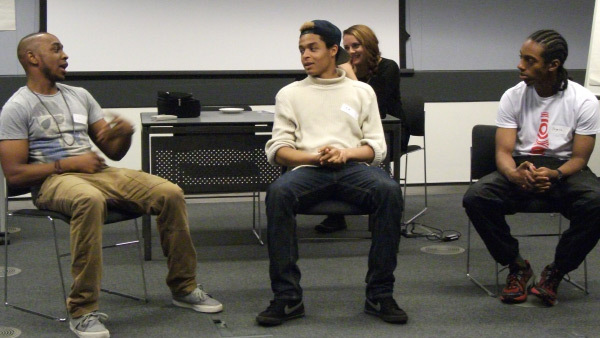 Tender has been lucky enough to have received funding from Children in Need, The Esmée Fairbairn Foundation, John Lyons, City Bridge and Hackney Council to deliver Healthy Relationships projects to young people across London. Tender have historically been funded to deliver healthy relationship projects, of up to 12 hours, to youth settings at no cost to the setting. Take a look at the current Youth Ambassador opportunities listed below to see if one of these projects may be suitable for your youth setting. If none of the below projects are appropriate for your setting, please contact Lucy@Tender.org.uk or Brad@Tender.org.uk to find out about other opportunities that we may have for your young people. A Place for Everyone is a 2 year Hackney funded project. Tender will work with 15 vulnerable young people in 4 youth settings in Hackney per year to enable them to identify characteristics of an unhealthy relationship and how and where to seek support. They will then create campaigns in their communities and disseminate them to their peers. Staff from the settings will also have the opportunity to receive free training. Additionally, 2 young people from each setting will also receive training from professionals in Peer Mentoring and Youth Facilitation which is an OCN Level 2 accredited course at the end of the second year. For more information about the OCN training go to the Youth Engagement Page. "To lead is good when it comes to a mum with a baby, but when it comes to a loving relationship there shouldn't be a leader or follower because that’s control"